Marie Antoinette Card ~ Okay, It Was Me. I Let The Dogs Out. 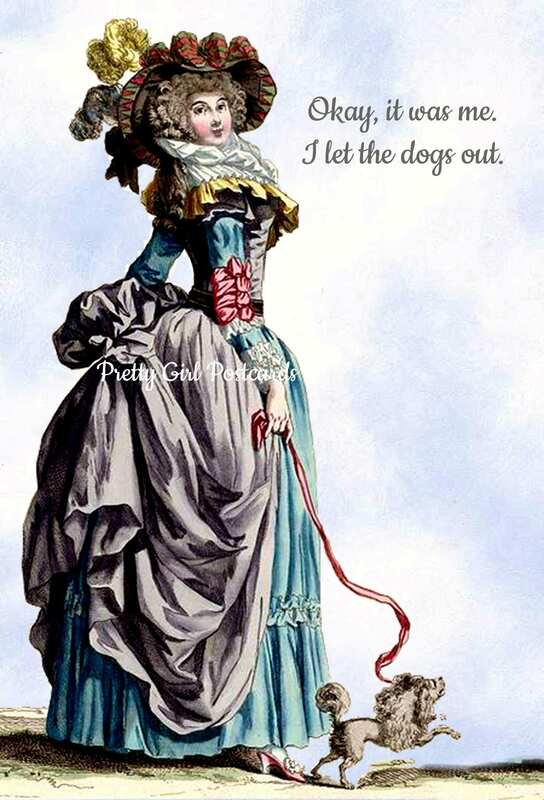 ~ Funny Postcard ~ Dogs ~ Witty Greeting Card ~ Who Let The Dogs Out?